I’m in the middle of doing some research for an essay that is scheduled to appear in a friend’s business book, but decided to take a quick break to do my monthly update post (Although I just realized I missed last month – oops). Short story featuring Allan Quatermain (and special guest). Hopefully some of these see the light of day over the coming months. For 2017 I’ve decided to take a short sabbatical from accepting these sort of short side assignments and focus on completing my four major ongoing projects. The FORGOTTEN CITY comic book series (of which I have the final three issues to write). and get a polished draft together for my novel-in-progress. So here’s to focus and a productive year ahead at the keyboard. Wow where did the year go? It’s definitely been an interesting and eventful one for us, with more fun still to come. The Joy of Joe – with my essay “So Who Is This Joe Fellow You’ve All Been Talking About,” on my recollections of Action Man. In the meantime you can find a new page on this site with direct links to some of my existing books for sale on Amazon. Work is continuing on editing the James Bond Lexicon project and compiling information for the follow-on U.N.C.L.E. Lexicon, and I’ve made a return to movie reviewing in my Editor-at-Large role for RevolutionSF. You can find my thoughts on the recent Suicide Squad movie online HERE. A lot of my focus over the last few months has been around my business writing with several white-papers under my belt as well as developing regular series of weekly blog posts which you can find HERE. This has lead to a couple of additional opportunities to write a regular monthly piece for a leading industry thought-leadership website as well as an article for another prestigious media industry magazine. More on these as stuff is published over the coming months. It’s been a rough few months since I last wrote an update on this blog. Without going into too much details, we’ve faced some serious family health issues, and while things aren’t 100% clear yet, the future is looking better. But during it all we’ve kept writing – maybe not at the speed or the frequency that we’d have like, but putting words on the page, while sometimes a struggle, has provided much needed escape and therapy. As we kick off the New Year we are looking towards a brighter future and to getting more words written, more stuff published, and planning to get back out to meet more readers. While things may have slowed down we are still working on our on-going writing projects. COMICS: The script for Issue #12 of FORGOTTEN has been turned in, and work is progressing on final edits for the trade collection collecting Issues #1-5. Work has also started on scripts for a new licensed comics gig that will be announced around mid-year. 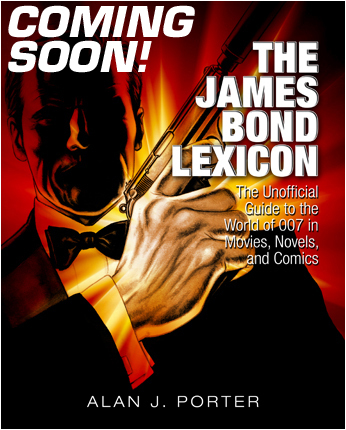 THE LEXICON PROJECTS: We have received the manuscript for the JAMES BOND LEXICON back from the publishers with editorial comments, so we are currently doing any corrections or rewrites needed, plus we need to add in new information from the new movie (SPECTRE), the latest Bond novel, (Trigger Mortis), and the new Bond comic book series (VARGR). – Meanwhile background research continues for the U.N.C.L.E. Lexicon project. Thanks for bearing with us during the few months of silence. See you on the page in 2016. It’s been a busy couple of months for us in the Super Spy world with progress on both our Lexicon projects. 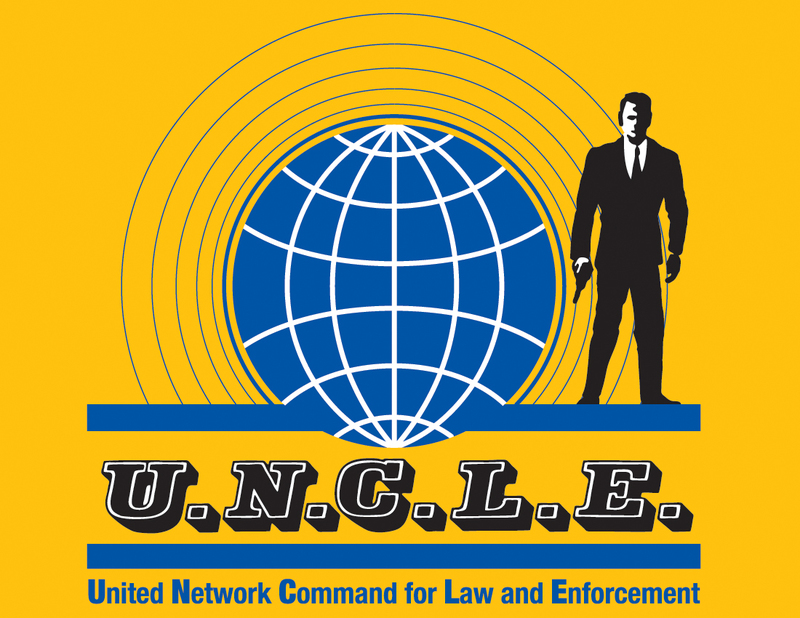 Starting off with the good folks at the United Network Command for Law and Enforcement, the new Man From U.N.C.L.E. movie while not setting the box-office alight, seems to have been enjoyed by those who did see it, and is developing something of a following and an extended run in many theaters. The buzz around teh movie has definitely generated renewed levels of interest in the original TV show and all things U.N.C.L.E. If you haven’t seen the movie yet, we highly recommend repeat viewings. It’s great fun and a wonderful homage to the spirit of the classic sixties spy movies. You can hear my thoughts about the movie on a recent episode of the Earth Station One podcast. Research on the U.N.C.L.E. Lexicon is going to schedule and we recently passed the 50% mark with over 150 U.N.C.L.E stories watched or read, annotated and notes written up to date. In other book news we have decided on a slight title change from “The Lexicon Affair” (which was cute for fans of the existing show), to “The U.N.C.L.E. Lexicon” as that will appeal to a broader audience, and it’s how we’ve been referring to the book on various social media channels anyway. – You can follow the book’s progress on Twitter at @UNCLE_Lexicon or on the associated Tumblr account. Things are also moving along with the James Bond Lexicon project. We have the copy edited manuscript of the James Bond Lexicon back from publishers. We are now going through editorial notes & planning any updates and rewrites that might be needed. Unfortunately some family medical issues will slow things down over the next few months so it is very doubtful that the book will be out in time to coincide with the release of the new Bond movie, SPECTRE, as originally planned. However the delay will give us time to add in some new Bond stories that have been published this year. In the mean time enjoy the build up to Bond’s next screen adventure. – Again you can follow the book’s progress on Twitter at @BondLexicon or on the associated Tumblr account. NEW COMICS PROJECT – I’m delighted to have been signed on to provide several scripts for a new licensed property comics series from one of the major animation studios. The series won’t be announced until sometime in the first half of 2016 so I can’t say much more yet. More news as and when I can share it. FORGOTTEN CITY – The second story arc issues (#6-10) are in various stages of production as the Kid Domino team get them ready for uploading to comiXology for digital distribution. I have turned in the script for Issue #11 and have seen the first pas at the page layouts – they are looking great. The script for Issue #12 is also underway. Oops – seems that I missed posting a May Ramble, but I’m making up for that by posting the June issue a little early. Over the last few weeks I’ve completed the final edits for the new pulp story featuring my new character the Lotus Ronin. 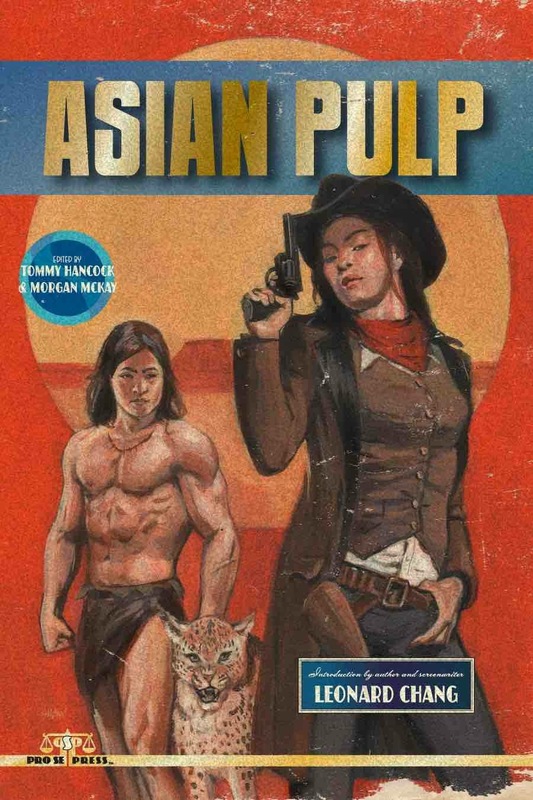 Her debut will feature in the Asian Pulp anthology title due soon from ProSe Press. The cover of which is looking pretty cool. Happy to announce that I will be making a return to one of my favorite conventions, FenCon, later this year. FenConXII will be held in Dallas in September. More information is in the link below. This is long overdue, but I have eventually got around to committing to producing a monthly update on the status of my various writing projects. The intention is to post a note at the end of each month here on my WordPress site. Let’s see if I can keep that promise. 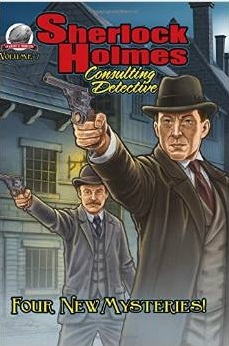 OUT NOW – Sherlock Holmes: Consulting Detective Vol 7. – This ongoing anthology series features new traditional style mysteries for the Great detective to solve. Volume 7 was just published and includes my story “The Case of the Rotten Corpse,” which takes Holmes out of London to the north of England to investigate the appearance of a mysterious corpse with the help of Manchester’s most successful historical detective. Allan Quartermain: Stones of Blood: I’m currently writing new short-story featuring the classic jungle adventurer in a tale that takes him from the streets of London to the battlefields of the First Boer War. More on this one as it develops. I recently enjoyed joining the crew at the James Bond Radio podcast to chat about the history of James Bond in comics. You can download the podcast, or watch the YouTube version at the James Bond Radio website. The Lexicon Affair: A Guide to the world of U.N.C.L.E. 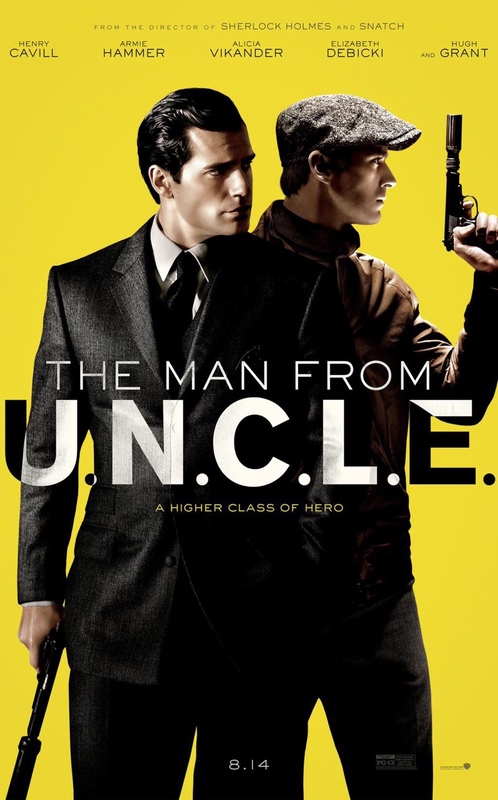 : Work has started in earnest on The Lexicon Affair, with notes and annotations completed on Season One of The Man From U.N.C.L.E. as well as the complete run of the Gold Key spin-off comics from the 1960s. The Girl From U.N.C.L.E. comics have also been completed and work is currently underway on the associated digest magazines and novels. As we start to ramp up work we’ve also launched new support Tumblr and Twitter accounts for updates on the book’s progress as well as the upcoming new Man From U.N.C.L.E. movie. Over the last few weeks I also chatted with the new updated Spy Command website about both the Bond and UNCLE Lexicon projects – you can find the interview online here. FORGOTTEN CITY – The second story arc issues (#6-10) are in various stages of production as the Kid Domino team get them ready for uploading to comiXology for digital distribution. I have turned in the detailed page-by-page outline for issues #11-15 that will comprise the third story arc and am looking forward to starting work on the full scripts soon. Work is also underway on pulling together the first story-arc (issues #1-5) in a trade-paperback for eventual print distribution. In the meantime don’t forget that issues #1 thru 5 are still available as digital downloads at comiXology for just $1.99 each. April 20-22 – Content Management Strategies conference – Chicago, IL. May 9-10 – Artists & Comics Expo (ACE) – Peoria, IL.